Mintycoco is a natural oral detoxifying product, only with two ingredients: cold pressed virgin coconut oil from Sri Lanka and peppermint essence. Gluten-free, Wheat-free and Dairy-free with nothing artificial. Its use is to kill bad bacteria in our mouth and to reduce plaque, leaving the teeth whiter, the breath fresher and the mouth healthier, because of the lauric acid inside the coconut oil, which is proven to be antibacterial. It comes in 10ml sachets, which you need to warm first in your hands, then squeeze directly in your mouth, and swish it all over for 5-15 minutes. Remember to spit it out in the bin and not in the sink because coconut oil tends to harden at room temperature, risking to clog the pipes. When I first had this product inside my mouth I almost threw up, because of the buttery sensation. I felt like I ate a whole stick of butter because it's heavy and I couldn't taste almost any mint in it. I have to say, though, that after a couple of uses I did get used to it, just like they advised in the leaflet. I'm happy that it is a natural product, instead of many others which promise you great results for your teeth but with bad chemicals. I haven't notice any changes in terms of teeth whitening or in breath freshening, but I do feel my mouth healthier. If they accept suggestions, I would like this product with more peppermint essence, for a fresher breath. As it is now it's still too buttery for my taste. You can buy it from their shop Mintycoco.com, a 3 days trial for €8,77 (which I find a bit too pricy) and free shipping. Or else, at Mintycoco Referral Candy refer 3 friends and get a free full box of 14 sachets. This sounds like an awesome product, however it does make me nervous that you said it was like eating butter! That doesn't sound pleasant at all! Great review! It's not that bad, you get used to it. Yes, it's buttery with no doubt, but I think coconut oil is a great ally both for teeth and skin. Maybe they let you pay more because of the precious coconut oil. It's still a natural product, better than many others which contain chemicals. It is a bit heavy, but it's pure coconut oil and that's its natural taste. 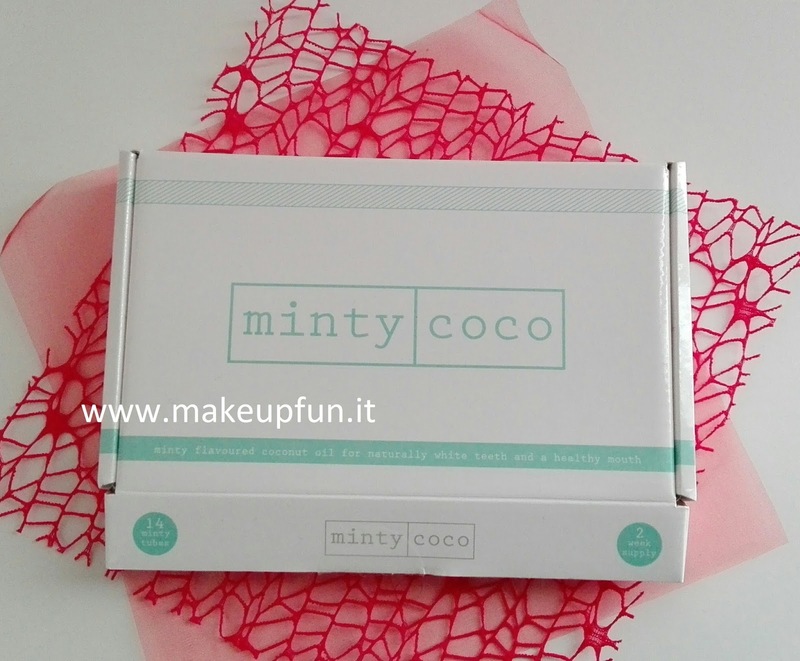 I am not sure how I feel about buttery toothpaste but I have heard great views about Minty Coco so who knows! First time I am hearing of this product and it looks good. I would definitely go for this. I bought some CB12 mouthwash yesterday (currently on offer for £9.99 in Boots! Usually about £13) and I have to say it works wonders, but this is cheaper so might give it a try! Awesome! Then this is a deal! 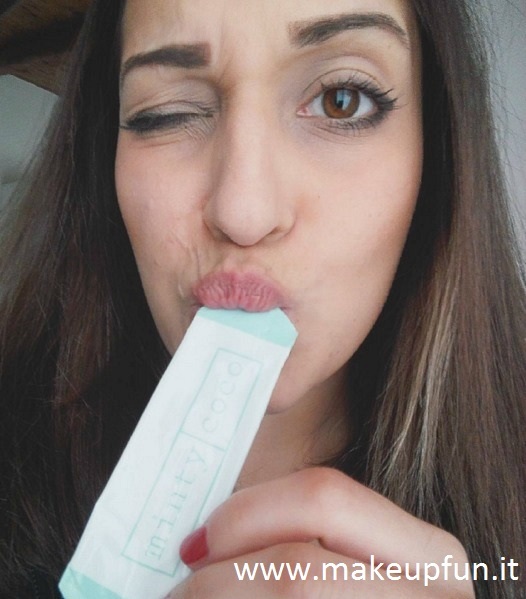 Hi Erika, thanks for trying Mintycoco and writing about it. If you live in a cold climate like the UK it's important to warm the sachet first - either in your hands, under a hot tap or holding in a hot shower. This makes the coconut and peppermint oil completely liquid and it makes a HUGE difference. When I first started oil pulling I found the taste and consistency really hard to deal with but from all the clinical trials I researched, I knew that oil pulling works to whiten teeth and as a detox - so we set out to make it much easier and taste great - that's why we created Mintycoco. The story about that is here: http://mintycoco.com/blogs/news/137964935-whats-the-habit-thats-the-missing-link-in-the-chain-of-good-health. 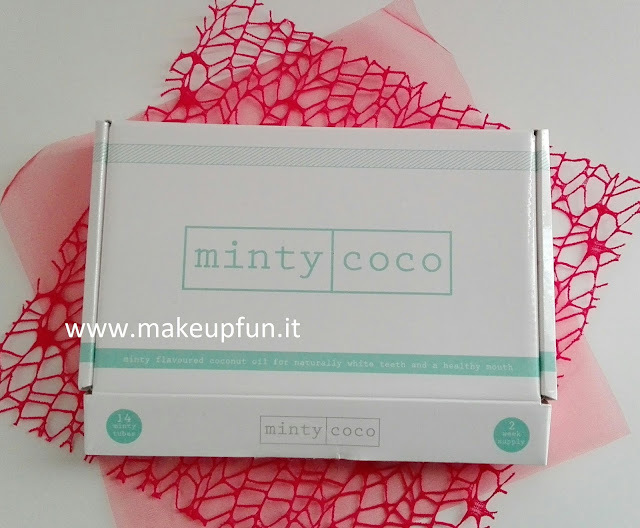 If anyone else you know wants to try Mintycoco for free, there are currently two ways: one is at http://mintycoco.referralcandy.com and another is at https://deliciousoilpulling.com.﻿ Thanks again for your blog Erika.